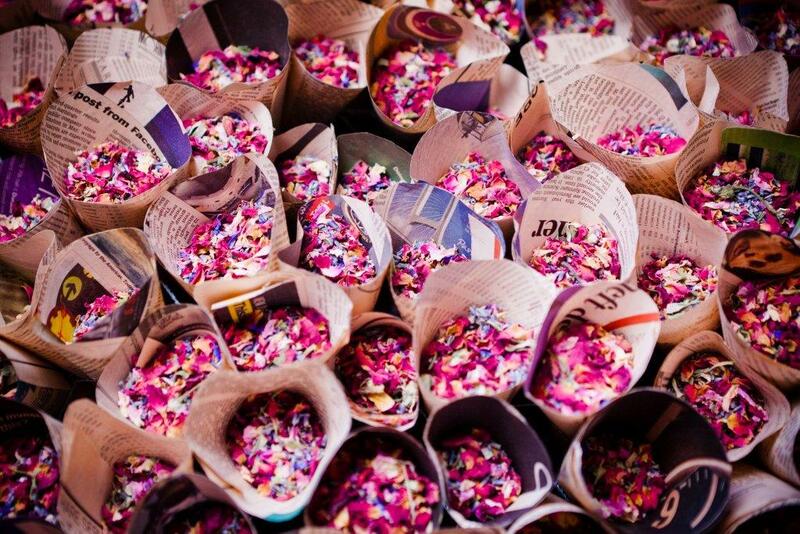 I love inventing pretty new confetti mixes from the range of dried flower petals we have in the shop. The thing about dried flower confetti is that it is 100% natural and biodegradable. This is a mix I put together at least five years ago and it is my all time favourite, although other petal confetti mixes come and go. 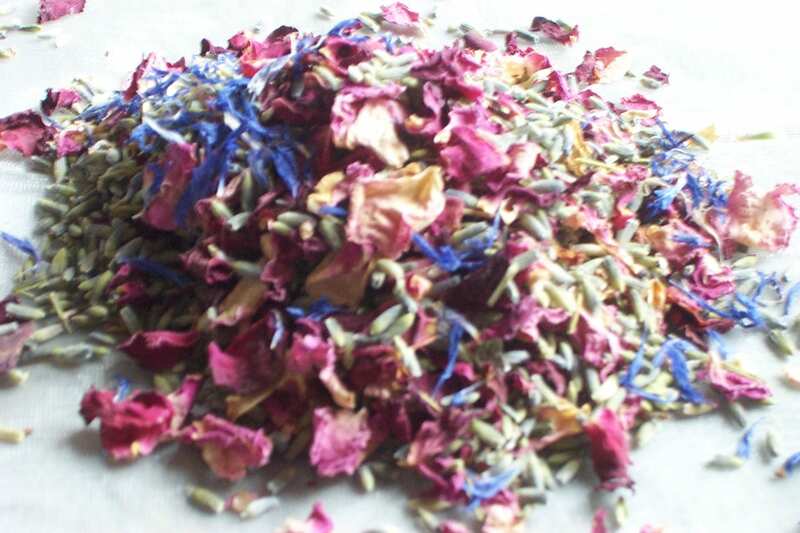 Cornflower Mix is a simple combination of dried rose petals in pale pink and burgundy, some fragrant dried lavender and a sprinkling of royal blue cornflower petals. It has an old English country garden appeal, and reminds me for some reason of medieval tapestries. It even smells great! Sarah’s photo above looks really vibrant and the natural confetti looks great in these pink newspaper cones made from the Financial Times. 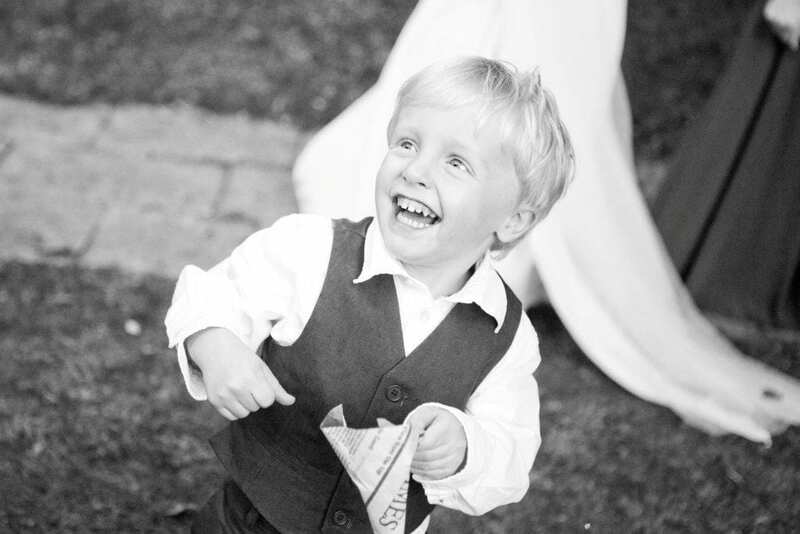 Sarah Legge is a contemporary wedding photographer covering Surrey, Hampshire and Sussex. The happy couple are Penny and Dougal, and you can read more about their day at bridalmusings.com. You can tell they were having a really special day, and Penny looks absolutely radiant! 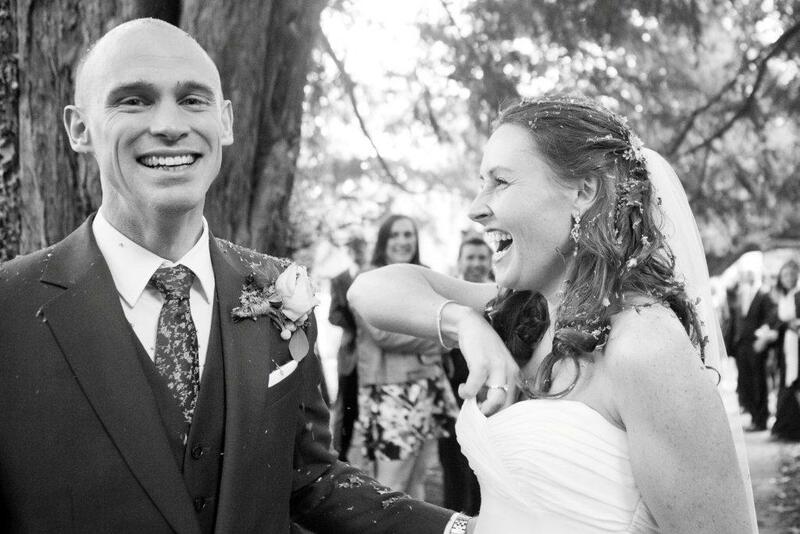 The use of confetti is not something to be skipped at a wedding (no matter how fussy the venue) – you can tell from these pics that throwing confetti created some wonderful memories all round. Most venues allow confetti as long as it is biodegradable. 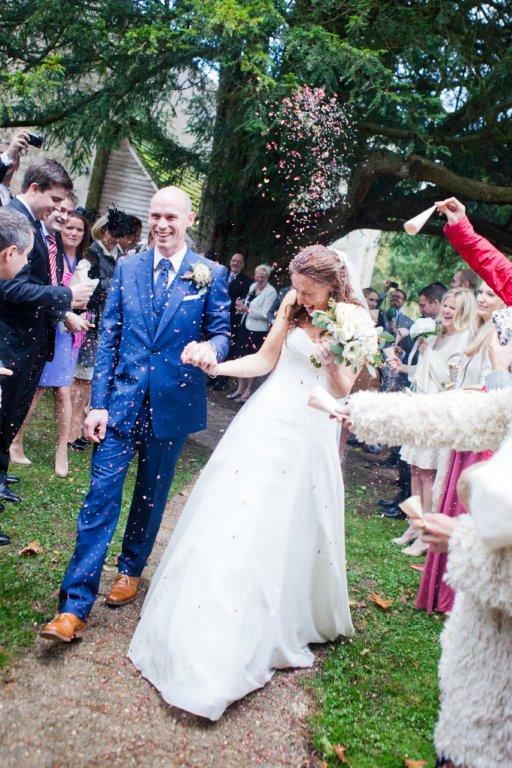 This Cornflower Mix confetti was also used in a styled wedding shoot last year, which we were proud to be a part of.